Marketing and sales are the two hands of an organization like body. They work hand-in-hand to bring out profitable results. In any case, if one of them does not perform well or as expected, the organization faces loss in one or another way economically. This kind of loss may occur to any kind of firm but especially the start-ups face major issues in handling their work structure. 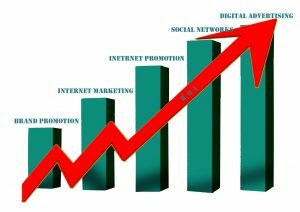 So, making a powerful impact in the market and expanding organizational wings across the globe, one needs to empower its tools and techniques in marketing & sales departments so that they can have a conducive work environment. Communication is a two-way concept. Before going to pitch your target audience, you need to simplify your way of communication. You may be using one or more medium to connect with your prospective audience, but there is so much more in marketing to focus while looking for a grand profitable outcome. Firstly, you should be prepared with a compact plan that can lead you to your goal. A plan that is well-equipped with the latest trends in accordance with the type of organisation you work for. But a full-proof marketing strategy can move your organization to an unparalleled success level. Start thinking before you go out for an agency that can plan this for you and take some time to make them understand what you want to convey as well as whom you want to convey your message. Taking help from some of the best advertising agencies is an intelligent step in this path. It also adds as an advantage to your promotional campaigns as such agencies can make it easier for you to put your hundred percent efforts into it. You can get detailed information from an expert advertising agency about where you lack in the marketing techniques and how can you defeat the dysfunctionalities. Marketing of products or services can do wonders for an organization if it is done effectively as your clients or customers will believe your words only when you make them understand it practically. You can have a greater impact on your intended customers through superb marketing tactics.